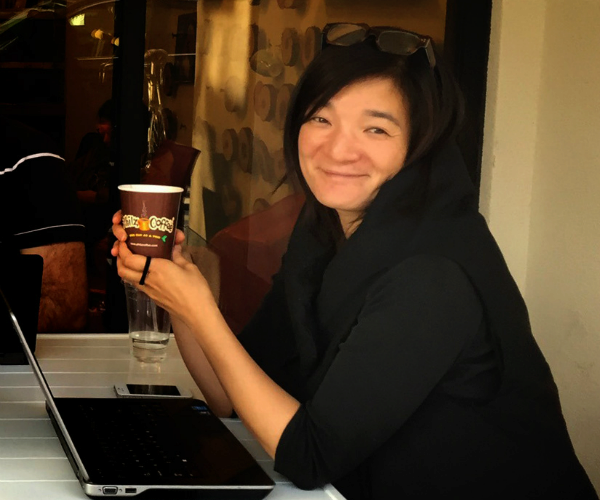 As a project specialist at The Getty Conservation Institute in Los Angeles, CA, Lori Wong, WG’17, preserves sites of cultural importance around the world. 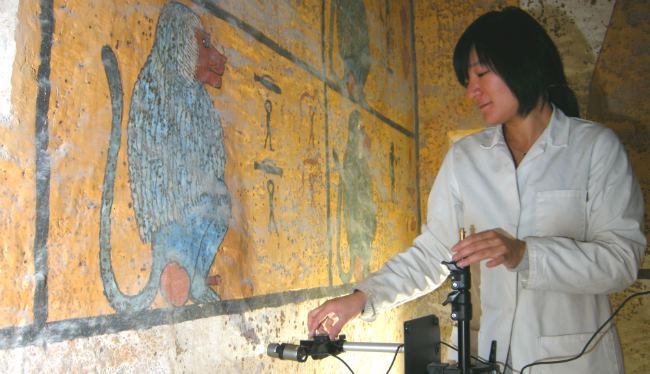 Lately, she’s been working at the Mogao Grottoes in Dunhuang, China, a World Heritage Site along the ancient Silk Road near the Gobi Desert, and in Luxor, Egypt in the Tomb of Tutankhamen. For the last decade, I’ve been working at The Getty Conservation Institute, which is part of the J. Paul Getty Trust. Our Institute focuses on the preservation of cultural heritage sites. I’m based in LA, but I spend substantial periods of time working in the field on sites in China, Egypt, and Morocco. Recently, I’ve spent a lot of time in far Northwest China. The Mogao Grottoes is an enormous Buddhist cave temple site that dates back to the 4th century. In Egypt, I work on conserving wall paintings in Pharaonic royal tombs and in Morocco on preserving earthen kasbahs. We work in partnership with governmental organizations responsible for the care of cultural heritage in order to build capacity in these regions and have a longer-term impact. An MBA was never part of my career plan. My siblings got their MBA degrees, as they work in finance and engineering, but I didn’t think it was relevant to my work. However, the longer I spent in this field, the more I realized that the classes that are taught in business school — like Economics, Management, and Marketing — are applicable to conserving and managing cultural heritage sites. These sites are open to the public and are often major revenue generators for their countries. They can face intense political pressure to increase visitation to generate more revenue. While this can be done in a controlled and careful manner, mass tourism is a problem. The site in China where I’m currently working has seen a rapid increase in traffic with over 1 million visitors a year. But the site is very fragile and not equipped to handle that many tourists. Heritage sites are nonrenewable resources—once a heritage site is gone, it’s gone forever. There is a need to change the way we tackle these problems and to find solutions that are communicated to the site’s decision-makers in a language they can understand and respond to. And our organization isn’t alone; it’s a common challenge for nonprofits to find new and innovative ways to solve problems. This is why I’m pursuing an MBA, and why we’re starting to see more people with business backgrounds in nonprofits. I knew I wanted an executive MBA format because I love my job and wanted to continue practicing even as I returned to school. I also appreciate the experience and perspectives that EMBA students bring to the program. And since I work outside of the U.S., name recognition and brand were important. I looked at some local programs, but only Wharton had the reputation and academic rigor that I wanted. I fly to San Francisco either on Thursday night or Friday morning and come home on Saturday night. Sometimes I stay over on Saturdays if my husband joins me. Wharton is very welcoming to family members so he has been able to meet my classmates and their families. The biggest commuting challenge for me is fitting class weekends in between my work trips. There is no typical Wharton EMBA student. I have an incredible learning team that includes students working in the fields of medicine, finance, accounting, pharmaceuticals, and marketing. We complement each other’s skill sets and also offer different views and experiences. Our class is also very diverse with over 50% of students born outside of the U.S. We celebrate our diversity and welcome each other’s perspectives. At work, since I’m in a very specialized field, most of my project teams are comprised of people with similar skills and interests. This exposure at Wharton to people from many different fields is energizing and inspiring. I’ve also made a lot of great friendships. 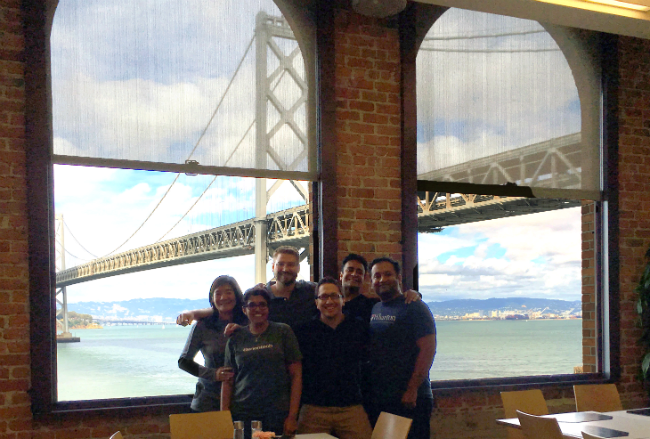 I organize smaller group outings in the Bay Area to get to know my classmates better. The program only lasts for a limited period of time so I’m trying to create those bonds outside of classes. The core classes like Finance, Marketing, and Communication are very applicable to most people’s jobs – they would be helpful to anyone. Now that I’m in my second year, I can choose electives that are more closely suited to my future goals. I’m also currently working on an independent study with Prof. Leonard Lodish to further the connection between what I’m studying and my job. My independent study project focuses on the marketing of cultural heritage sites. Spend as much time as possible with your amazing classmates because you’ll learn so much from them and they will become your support system. Everyone goes through rough patches, be it with work or family. Your classmates will help you, and you will help them. Put yourself out there and socialize. Also, try to take advantage of everything Wharton offers. I just completed the Global Consulting Practicum, which is a hands-on, immersion into global consulting. Our project with students at the University of Queensland, Brisbane worked with a nonprofit in Australia in the area of child sexual abuse awareness and prevention. It was very challenging, but also a positive experience that allowed me to look first hand at issues facing nonprofits and to discover and create solutions. Wharton’s EMBA program is helping me look at problems in a different way. That was why I came here and I can already see a difference in how I go about tackling challenges.